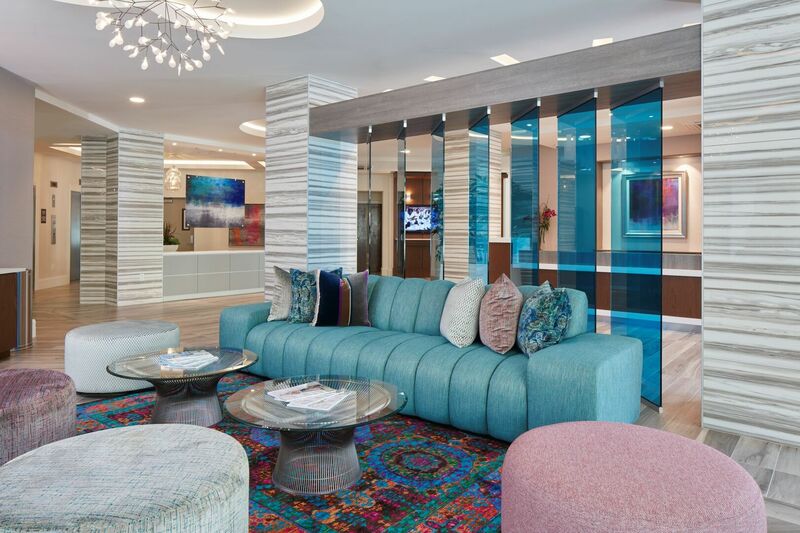 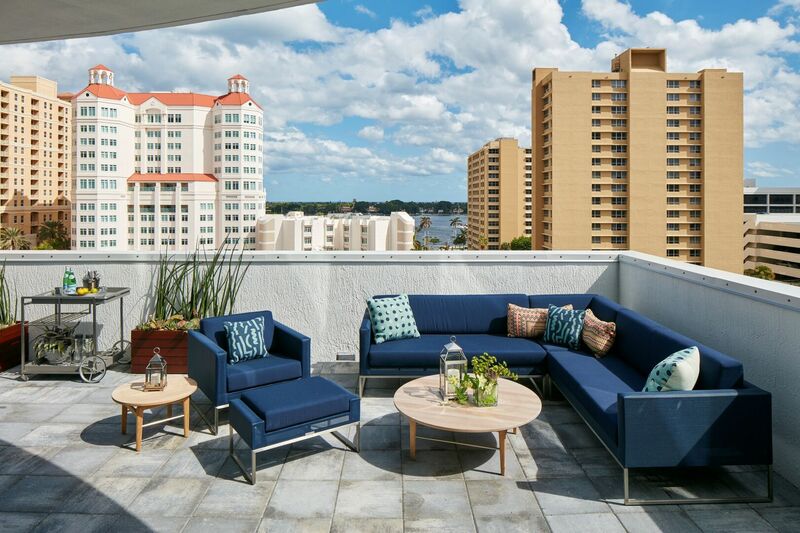 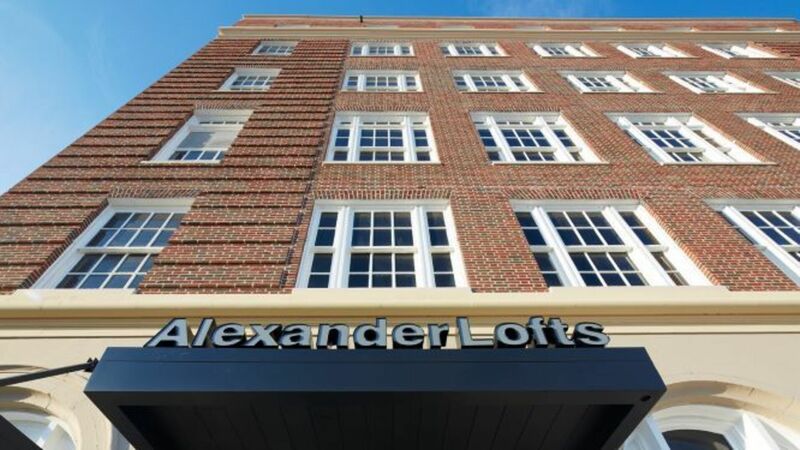 Uncover a luxury apartment with the style of downtown West Palm Beach at The Alexander. 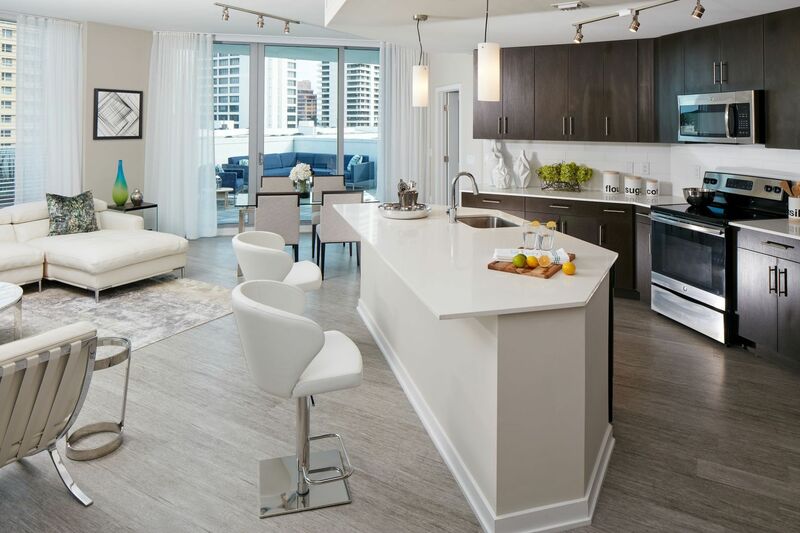 From charming studio floor plans to luxurious one and two bedroom apartments, each home combines the refined elements of opulent living with functional features to make your life easier. 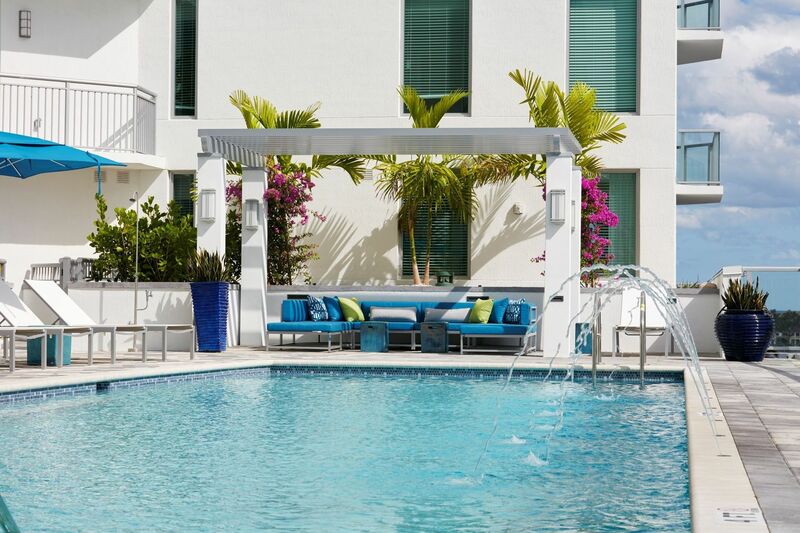 Outside, an unrivaled amenity collection invites you to socialize, exercise or decompress. 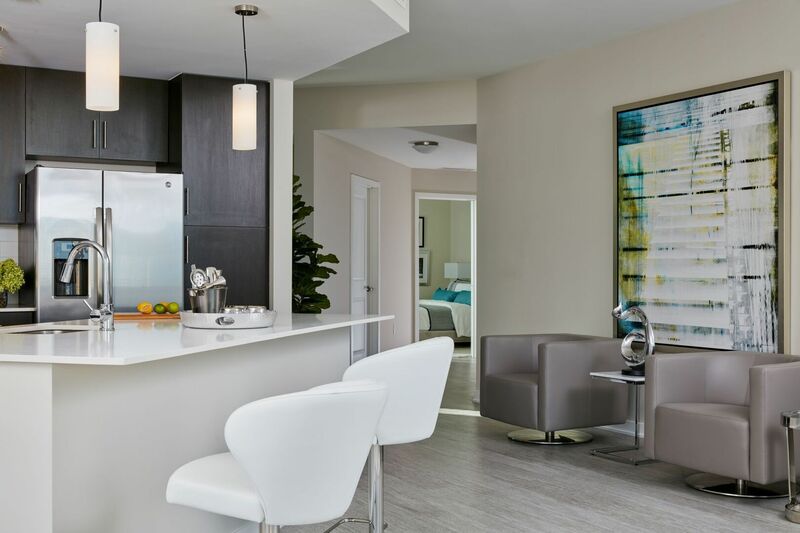 Take a closer look to see what your lifestyle could look like in this community near CityPlace. 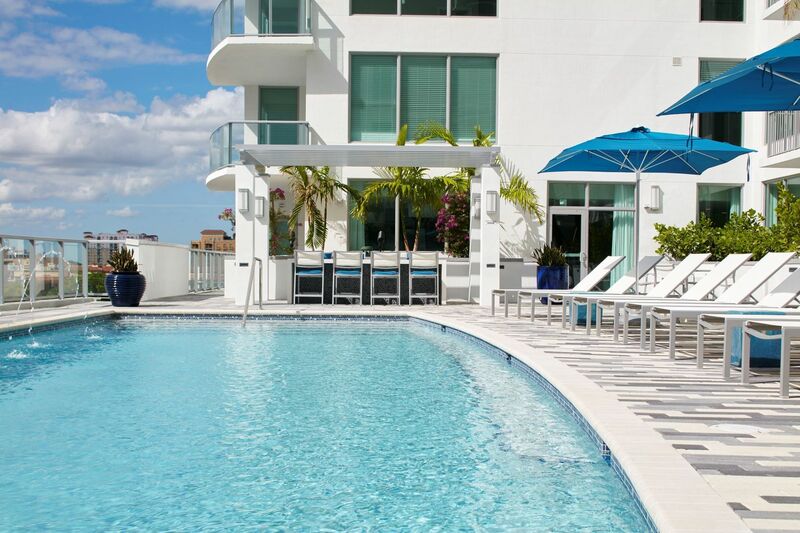 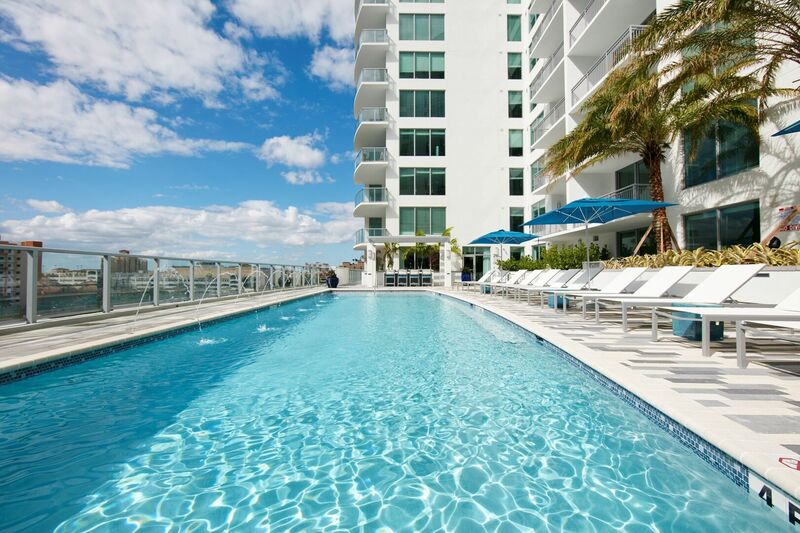 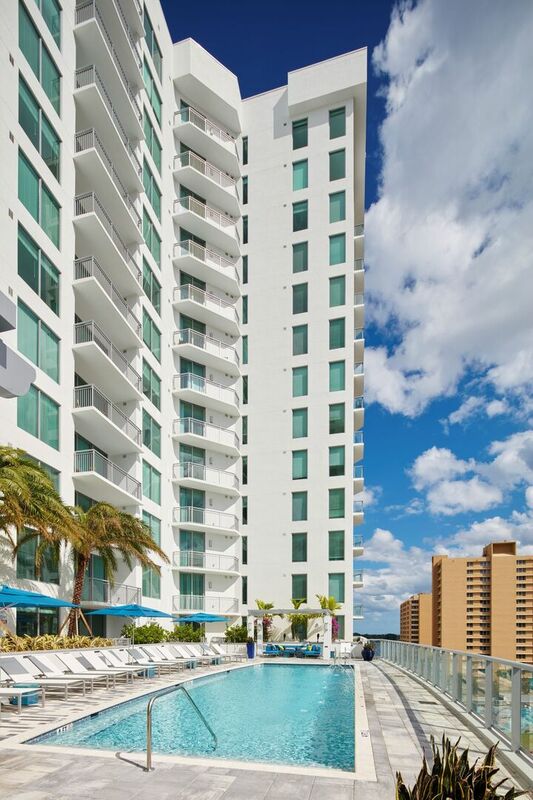 Alexander Pool – The generously sized pool and sundeck provide spaces to soak up the West Palm Beach sun. 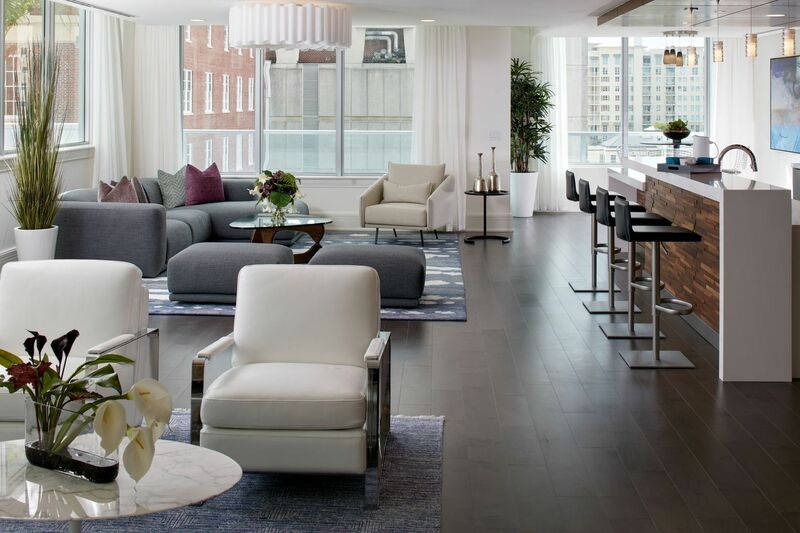 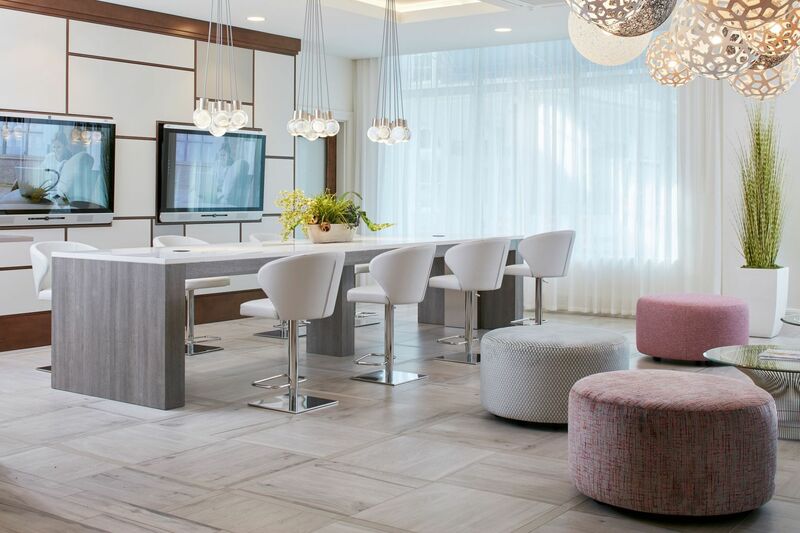 Alexander Clubroom – Meet the neighbors and entertain friends in the swanky clubroom. 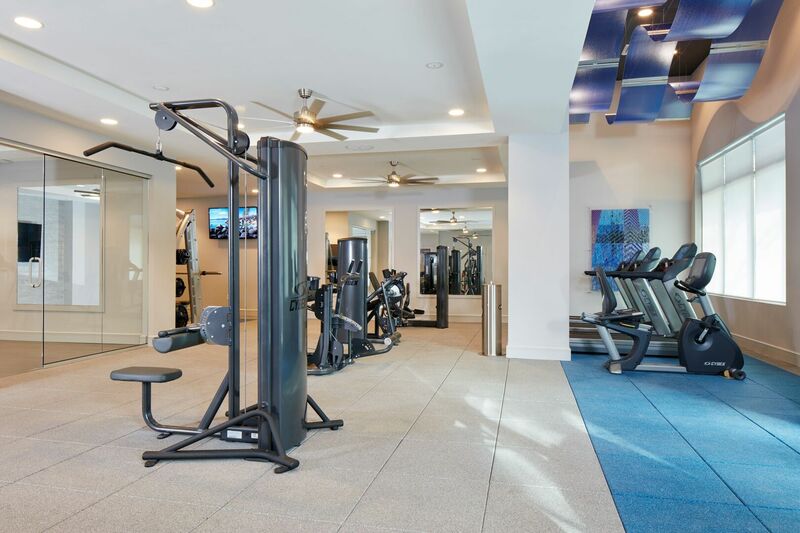 Alexander Fitness Center – Stocked with state-of-the-art equipment, the fitness center offers the ideal space to reach your wellness goals. 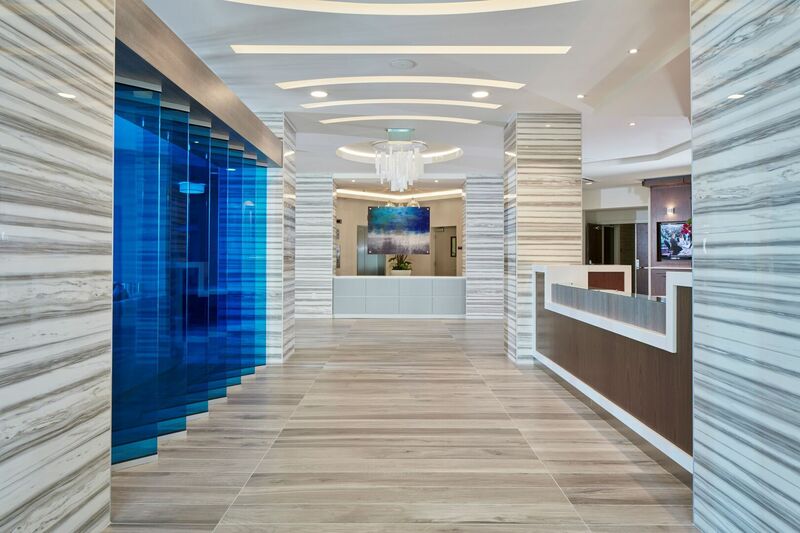 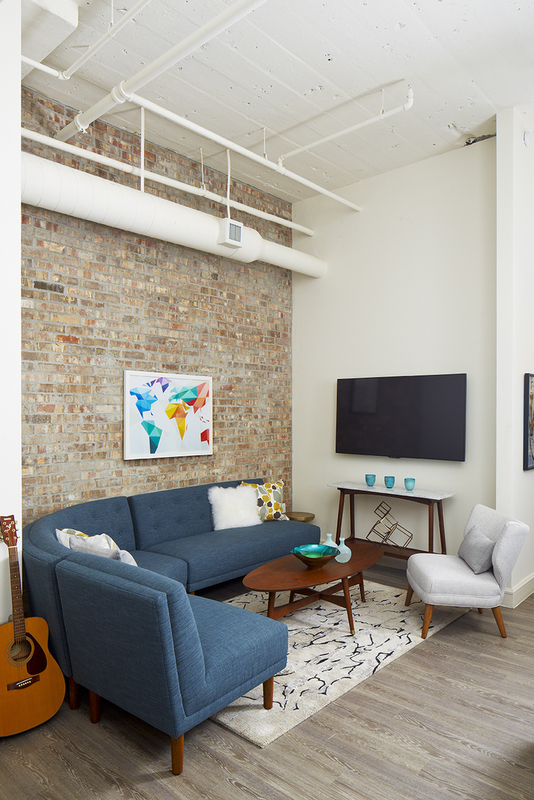 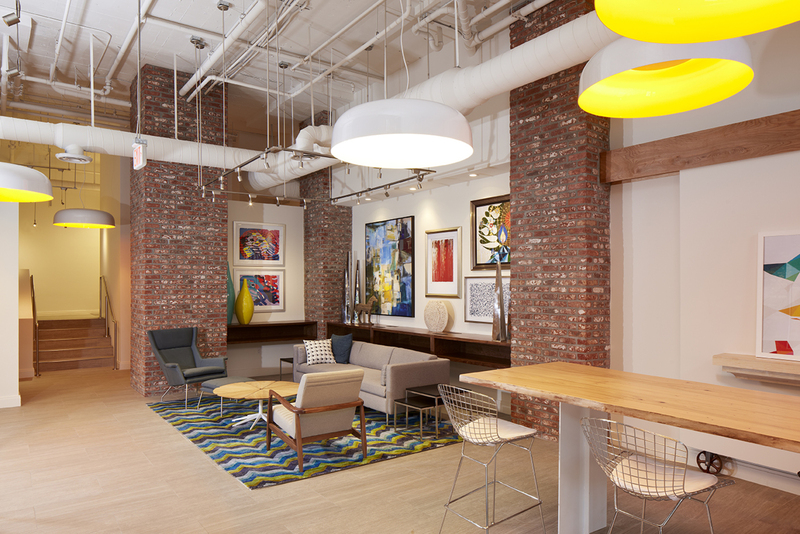 Lofts Lobby – Edgy and artsy, the lobby in our lofts building sets the tone for a vibrant lifestyle. 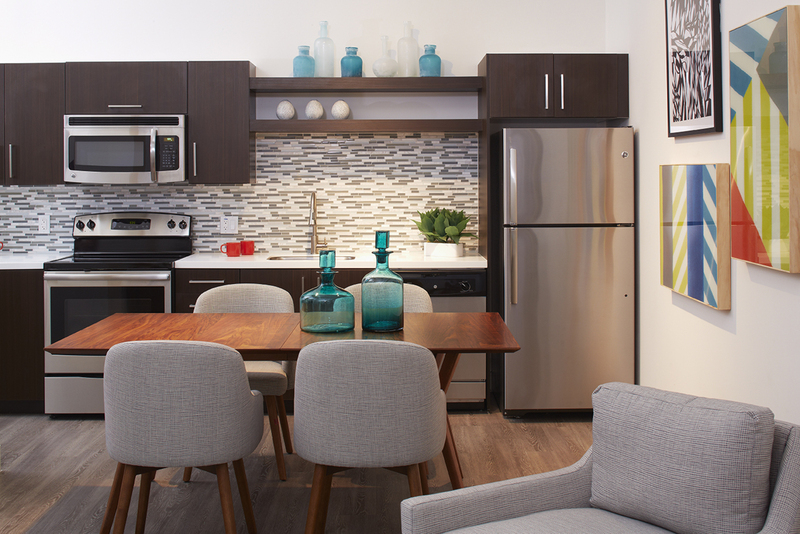 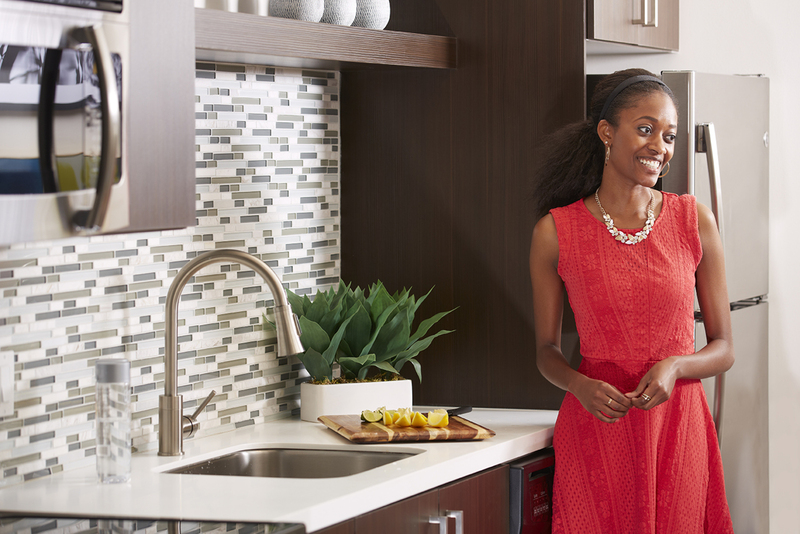 Apartment Kitchen – Discover modern cooking spaces with stainless steel appliances, hip lighting and stylish backsplashes. 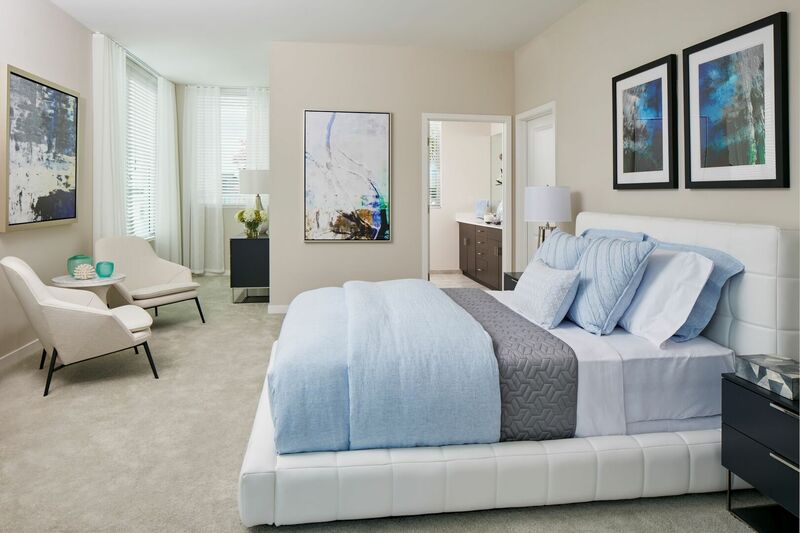 Apartment Bedroom – Unwind in your posh bedroom after a long day. 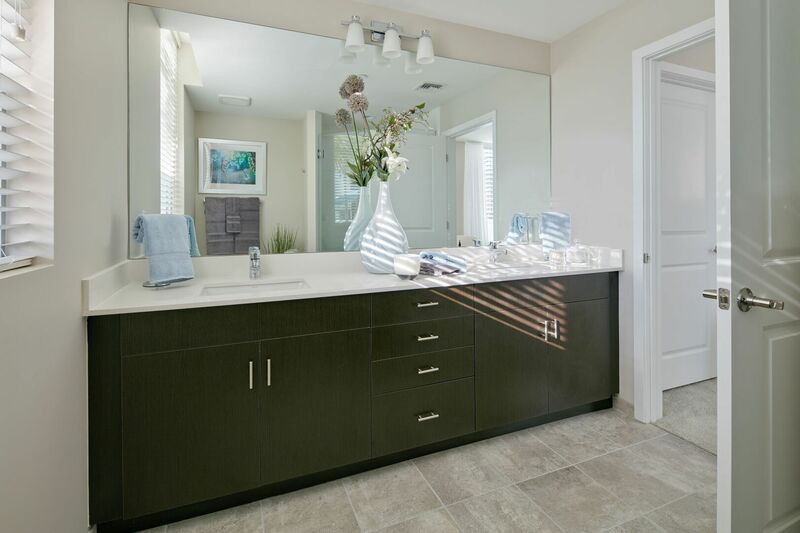 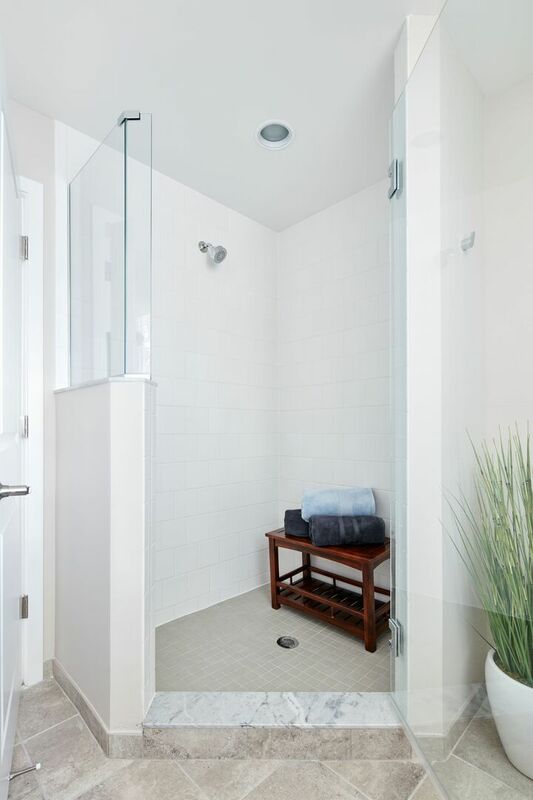 Apartment Bathroom – Glass shower enclosures and spacious vanities are the highlights of every tranquil apartment bathroom.